is a research and development institution under the Ministry of Education and Research. The Institute is one of the three centres where Estonian is systematically studied, and the only institution dealing with the development of the language. Its main aim is to contribute to the long-term preservation of the Estonian language and to guarantee the functioning of Estonian as the official national language. compilation and upgrading dictionaries and databases essential for the country and national culture (e.g. Dictionary of Standard Estonian, Explanatory Dictionary, bilingual dictionaries), free public linguistic advice, language care and language planning (the Institute has the status of the Office of Onomastic Expertise), coordination of all-Estonian terminology work, incl. compilation of multilingual termbases, services for people with special needs (speech technology, sign language dictionary), online services for language learners (learners’dictionaries for different language proficiency levels), development of speech synthesis for Estonian, and the collection and development of language archives. The electronic resources and applications of the Institute are available to the public for free. The Institute investigates contemporary Estonian, the history of the Estonian language, Estonian dialects and cognate Finno-Ugric languages. 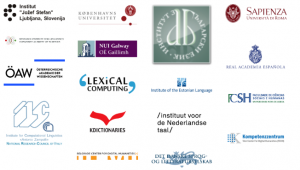 The whole lexicographic work is based on corpus linguistics, lexical semantics and language technology. The Institute aims to create a general framework for studying and developing the national language, for its cultivation, codification, and corpus-based lexical/linguistic monitoring and analysis. 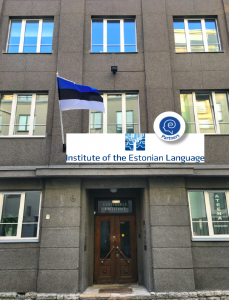 The Institute participates in the development of language policies in Estonia and the EU.